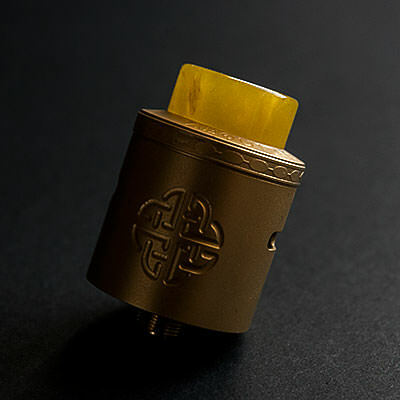 I received this Aequitas RDA free of charge directly from HealthCabin for the purpose of this review. Regardless of this, it will not color my opinion on this review in any way, shape or form. 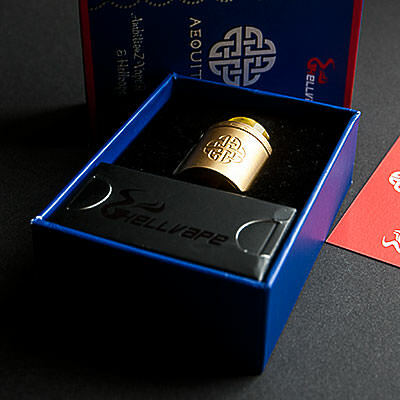 This comes in a blue, white and red package with Hellvape’s logo on the front, together with the Aequitas logo and the Ambitionz Vaper logo as well. On the back you find info on the RDA itself, what the box contains and who has designed it. On one of the sides you find links to both Hellvape’s and Ambitionz Vaper’s social media channels. When you open it up you find the RDA sitting in a cutout on top, and underneath you have the small black box you find in every Hellvape package. 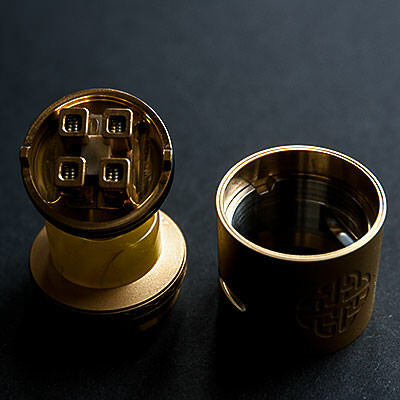 It is a 24 mm 3-piece RDA with what I would say is a different kind of side airflow, and it is a collaboration between Hellvape and Ambitionz Vaper, so yet another celebrity device and for sure not the last one. First impression is that it does look good and well made, and as a bonus it is delivered with a 810 resin drip tip. 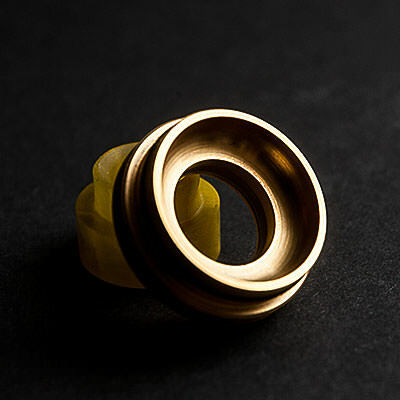 It got what they describe as a «postless raised deck» which is gold plated. 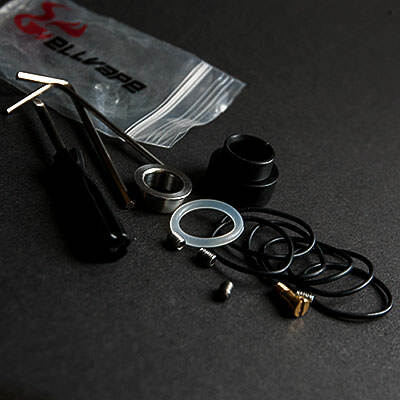 It is real easy to build on and the placement of the coils is also easy enough. The juice well is however really shallow and can basically not hold much liquid at all. In this case they use the barrel as part of the juice well. The post screws that are in the deck on arrival are slotted screws and the spare ones are hex screws, so for those of you that don’t like slotted ones, you have the possibility to use the hex ones instead. Another good thing is that the post screws come in from behind, meaning they won’t twist the legs on wider coils like 3-core Aliens or similar. 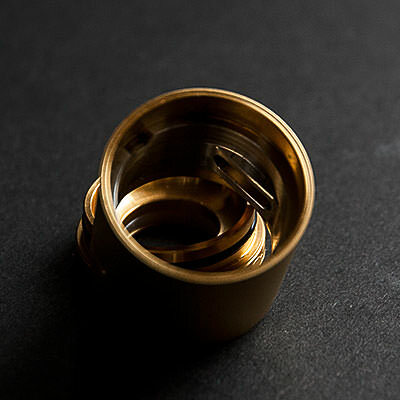 The barrel is made to be able to be flipped to make the airflow going downwards or flipped again going upwards into the RDA. The deck got notches and the barrel got cut outs to hold the barrel in the same place for optimal airflow. In my mind it would have benefited from having those notches on the top cap instead. That way it would be really easy to alter the airflow by turning the top cap opposed to how it is now, turning the barrel and at the same time tightening the RDA to the mod even more. It might be better on some RDA’s, but the o-rings on the one I have are a bit on the strong side, making it hard to alter the airflow. Besides that I do find that the airflow is real smooth and it doesn’t whistle while I use it. The O-rings does work well on this one as well, which pleases me a lot since I can’t stand bad O-rings. So how does it vape you might wonder? Well, it does work as intended and the top cap is domed real good to help with the flavor. It does deliver on flavor, but it could be even better, I think. It doesn’t perform as good as the Bonza and the Goon, just to mention a couple of the different RDA’s we have on the market. All in all a pleasant device that I have enjoyed using. It might not be one I will use every day now when the review is done, but something I will take out once in a while. If you like the idea with a flippable airflow to easy change how the RDA and the airflow are acting, I sure can. 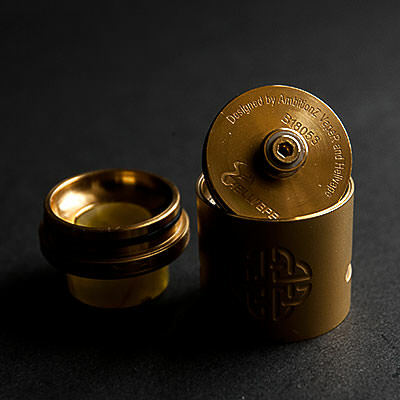 It’s not a bad RDA in any way and it is totally priced fair. 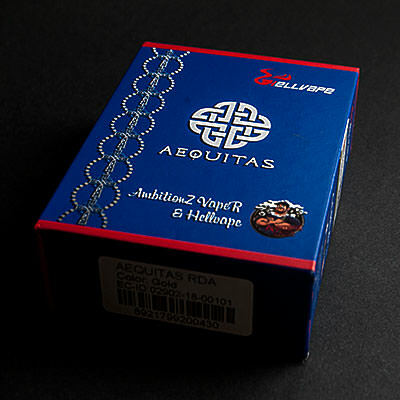 Aequitas RDA for $37 at the time I wrote the review. pretty good one but a few too many cons for my taste. @UW1 Thanks bro. Yeah it didn’t become a new favorite for me. Great review as always! So many great atties! Too many already! Decisions, decisions! Thanks man. Lots of great attys out there for sure. Great read!! Thanks again for well done review!! I just wanted to share this info with you guys. HealthCabin Summer Sale, $40 OFF for Orders Over $99! Enjoy $40 OFF for your $99 orders during HealthCabin Grand Summer Sale. To qualify Free Shipping, you need to add $59.99 or more products to the shopping cart. That is a great deal, almost made me want to impulse buy it. I think I’ll have to wait till I see a great single coil RDA come on sale. I think I would have better luck with that. My current finances don’t allow any purchase for a couple more months. But thanks for pointing it out, and thanks to @HealthCabin for being one of our ELR approved vendors. Thanks man and good luck to find that special RDA for you.